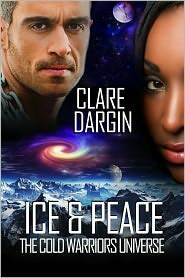 CLARE DARGIN is the author of the science fiction romance novels COLD WARRIORS and it’s sequel ICE AND PEACE. She describes her work as ‘science fiction with a romantic twist’. RK: Tell us a bit about your path to publication. CLARE: There’s really not much to tell except to say that it is filled with rejection letters, lot’s of determination and a ton of query letters and synopsis. I kept on writing and submitting to various publishers until I was accepted. I had my first book published in 2007. RK: You describe your writing as ‘science fiction with a romantic twist’. Could you explain what that means to you? CLARE: I am a science fiction fan of the first order. I love to watch it, read it and write it. But at the same time, I am a huge romantic. I love it when there is a happy ending with the couple entering their spaceship and flying away together. That being said, I still need that….heavy scifi…flavor to really make me smile. So I guess what I’m trying to say is that my scifi books will always lean heavily toward world building, technology usage and how it is central to the lives of the characters. But I will never leave out the romance! Cause it’s no fun without it. RK: You use a lot of classic SF tropes (space opera, terraforming) in your novels. What are some of your influences? CLARE:Ambient/Space/Electronic Music. Alan Dean Foster, I love his scifi novels. Movies, TV shows, documentaries, my own love for astronomy and physics. Or just science in general. RK: Do you have a specific writing routine? CLARE: I turn on my laptop daily. Open my next project and I go at it. Of course I also write in my head even when I’m not on my computer. I map out scenes, character dialogue, story lines and even plot. RK: What are some of your upcoming projects? CLARE: I always have several irons in the fire. As far as science fiction, I’m hoping to complete a series which will be a melding of genres– science fiction with fantasy elements. RK: If you could live in a popular SF universe or franchise, what would it be and what role would you play? CLARE: Definitely Star Wars cause I totally love it. And I would be a merchant because they always had the cool shops with all the neat do-dads in it. You know there were some interesting stories on how they acquired the stuff. Plus I just really love the technology, the philosophy and their way of living— The Evil Empire excluded of course. RK: Which you would prefer: to be a genetically engineered super human or a cybernetically enhanced super human? CLARE: Genetically engineered super human in a heart beat!!! No mechanical/robotic stuff for me. All human but just souped up! Yeah baby! ← Sun God Seeks . . . Surrogate? ~~ this hunk of burning love might set you on fire. Thanks for stopping by. 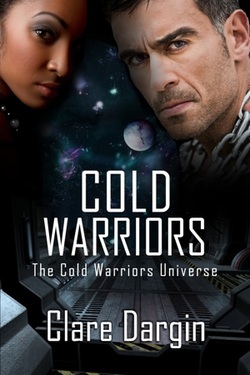 I hope you get a chance to check out Clare’s books.